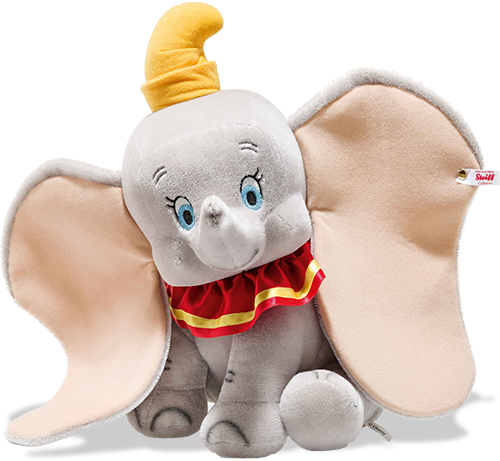 Steiff Disney Dumbo is so famous and loved by Disney followers around the world. Put him somewhere special in your home - to look at forever and remember his film and story! Dumbo is made from light grey mohair with HUGE ears which he uses as wings and has magical blue and black embroidered eyes and long nose. His head is moveable so you can let him look at you around the room. Limited edition of just 750 pieces.